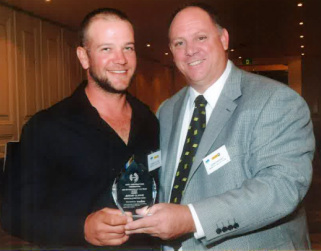 Mawson Constructions are very proud to acknowledge that Jeremy Clarke was awarded the Civil Construction Federation’s Apprentice of the Year 2014. 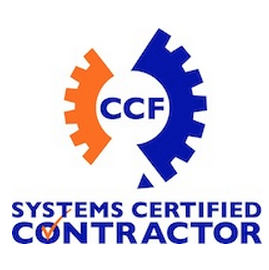 Jeremy has been working with Mawsons for three years and is one of five apprentices currently completing their Certificate iii for Civil Construction (Roads Sector) through the CCF. Currently Jeremy is leading the project team installing the Kialla Lakes outfall drainage. Mawson’s was also a finalist in the Training Organisation (Road Sector) of the year. Jeremy Clarke (l) with Mawson Constructions General Manager John Harvey.